From a sniper who shot 700 soldiers before getting his face blown up, and surviving, to a man who captured 42 Nazis with a sword. This is a list of the 5 greatest war heroes. 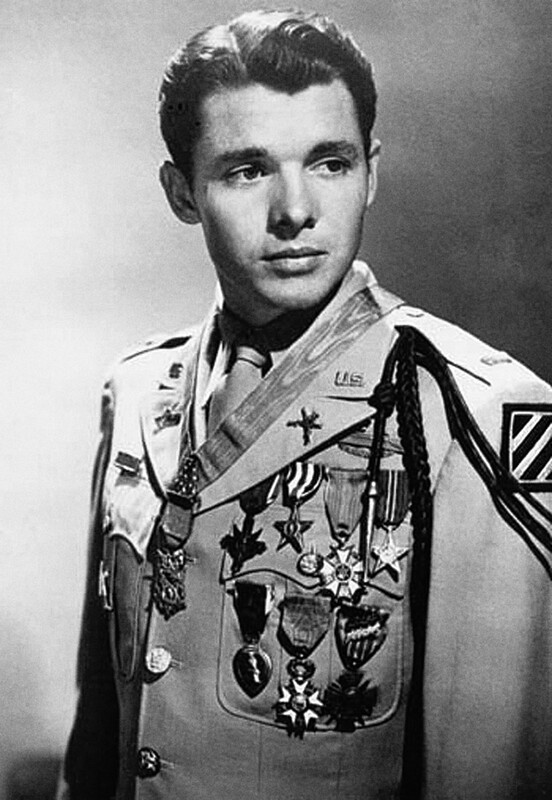 Audie Murphy was one of the bravest men, and the most decorated US soldier of world war two. He was a small man at only 5, 5” and 110lb. He was rejected by the marines, and the air force before finally being let into the army, as cannon fodder. Murphy’s division was invading Sicily when he caught Malaria. During the invasion Murphy’s best friend got shot by enemy troops, and Murphy couldn’t control his rage. He killed all the germans who shot his friend, and then went on to kill all the Germans in the nearby area. A few months later Murphy’s unit was defending Colmar Pocket from an oncoming attack, with only 19 men, and two tanks. The Germans outnumbered them completely, so Murphy and his men hid in a trench, and sent out the tanks to defend them. The Tanks were quickly taken out leaving them almost completely undefended. That’s when Murphy ran out into one of the half destroyed Tanks, which was on fire at the time. Murphy used that tank to single-handedly take out all six of the enemy German tanks, and all of their men. He then managed to jump out of the Tank just before it blew up, and all that while he had Malaria. Sergt. 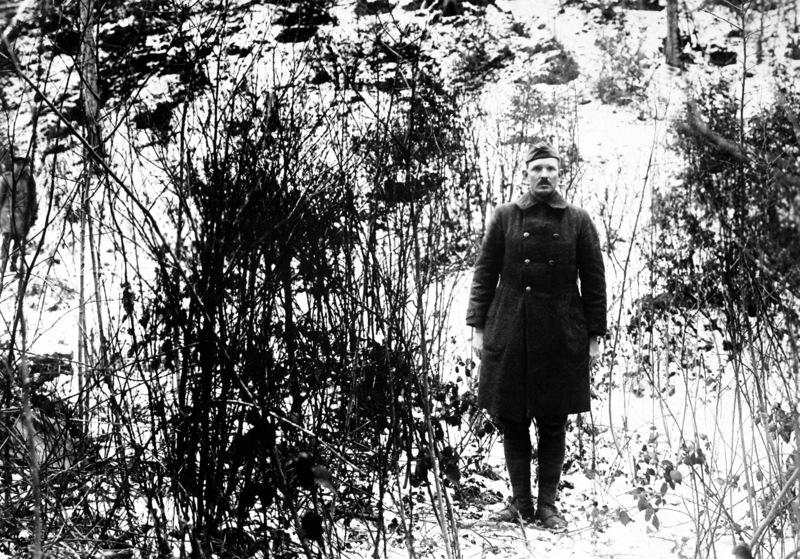 Alvin C. York taking a picture at the scene after the battle took place. Taking 32 machine guns, killing 20 German soldiers, and capturing 132 others are just some the things York can brag about. York was part of a group of 17 soldiers, sent to take out a German encampment guarding a railway. 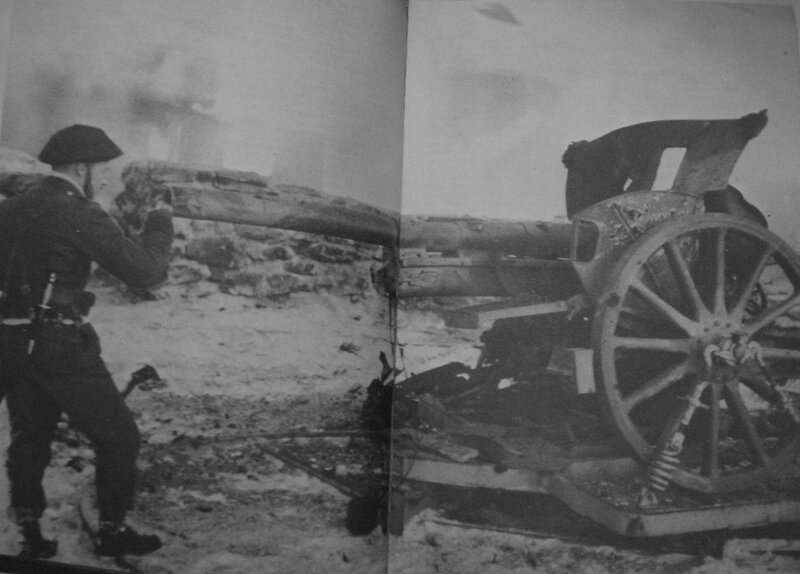 The Germans open fired with machine guns taking out half of them. After so many were slaughtered, so quickly, the remaining troops ran for their lives. Except York who stayed to fight the Germans. York had a superb shot, and managed to take out 20 of the Germans, himself. The German’s lieutenant decide to send down 5 troops to try and flank him. Alvin quickly pulled out his revolver, and shot every one of them. After York put the fear of death into them by single-handedly killing 25 German men, the German’s surrendered, all 132 of them. A picture of Matvey Kuzmin; Russian badass. Kuzmin was an 80 year old Russian man living in a region of Russia occupied by Nazi’s. When Nazi’s came to him, and asked him to guide them for a fee, Kuzmin had no choice but to comply with their demands. Although Kuzmin agreed to help them, he was actually setting up a ploy to try, and catch the Nazi’s in an ambush. He sent his grandson to the soviet union, in the hopes that the Russian’s would agree to help him set an ambush, which they did. He attempted to lead the Germans to a bog where the Russians were hiding. At some point the Germans managed to realize they were being tricked, and ended up shooting Kuzmin, unfortunately for them Kuzmin had still managed to get them to the ambush point, and they were taken out by the Russians. Simo Hayha being awarded the honorary rifle model 28. 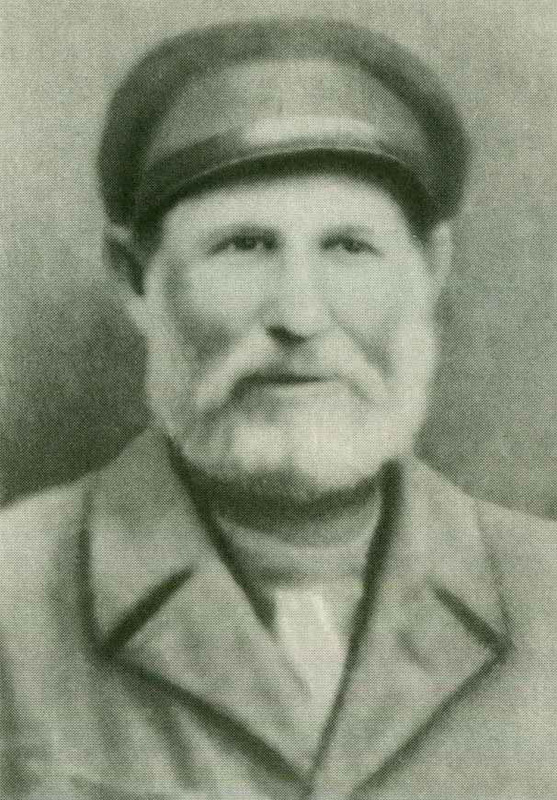 Simo Hayha was so dangerous to Russian troops they attempted to kill him by bombing the entire area he was in. But even a ridiculous amount of bombs wasn’t enough to stop the man known as “White Death”. 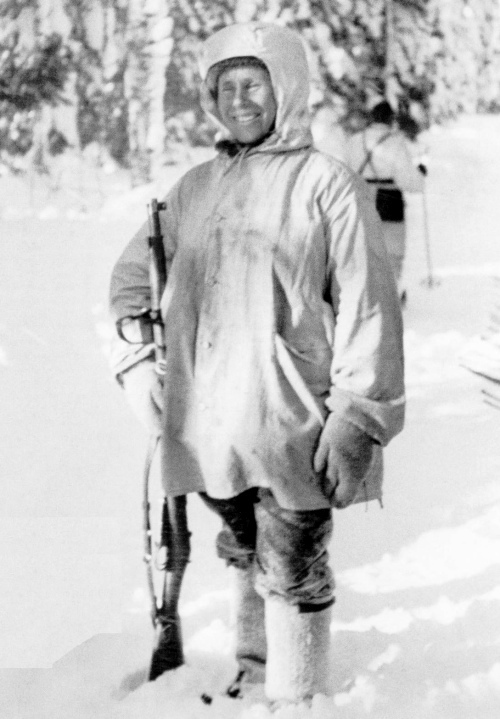 Hayha was a Finnish sniper who took matters into his own hands when trying to defend his country from Stalin. Hayha only spent one year in the army, and then lived life as an ordinary, peaceful farmer. When Stalin decided to invade Finland Hayha was there to stop him, hiding in trees; impossible to spot by the naked eye. He dressed in white camouflage, and sniped any Russians he could spot, which in total turned out to be 542 soldiers with his sniper, and 150 with his SMG. Eventually a Russian soldier managed to shoot him in in the head with an exploding bullet, which tore off half his head. The Russians thought they had killed him, but simply blowing up his head wasn’t enough, and he gained consciousness a week later. “Mad” Jack looking down the barrel of a captured cannon. 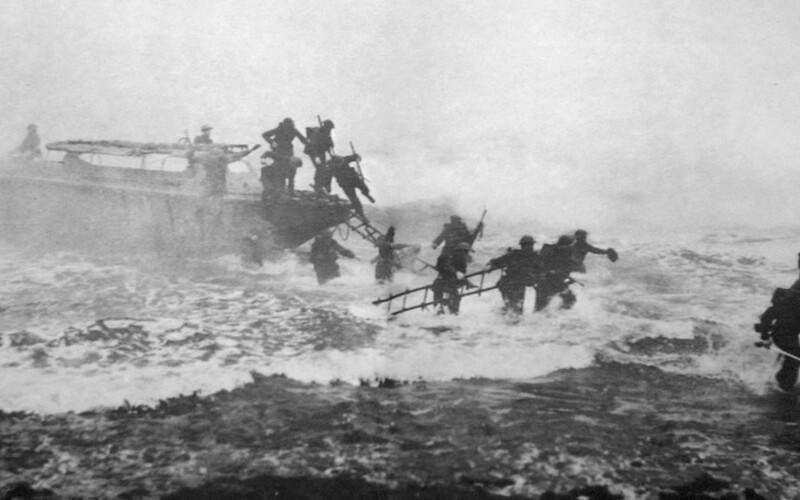 Jack Churchill is the only man to have used a bow, and arrow, and sword in World War Two. He is the last person to ever kill someone with a bow, and arrow in war. Churchill was educated at Dragon school which isn’t relevant, and only worth mentioning because of it’s amazing name. Once he left school he joined the army as an officer, and rode 1,500 miles across India on a motorcycle, at one point crashing into a water buffalo. Churchill would bring his bow with him on patrols, and use it against the enemy well. He also once captured 42 Nazis with nothing but his claymore (Large sword). Churchill was an expert on the bagpipes, and used it to raise his troops morale, and lower the enemy’s. He was captured by the enemy multiple times, but always managed to escape.